On 19 August, Human Rights and media activists in Syria and across the world were devastated after IS published a video entitled: “A message to America” which showed the courageous American journalist James Foley giving a very touching speech before he was beheaded by an IS fighter. We, as a Syrian Human Rights network, mourn James Foley who came to Syria in 2012 to cover the Syrian regime’s crimes and the Syrian humanitarian tragedy in northern Syria, which was being shelled and besieged by the Syrian regime at that time, before he was kidnapped in November of the same year by an unknown group at that time. We consider this crime a part of an ongoing and bloody policy against truth and media activists in Syria by the Syrian regime and IS and any other authority that restricts freedom of speech and arrests anyone working on revealing the truth. 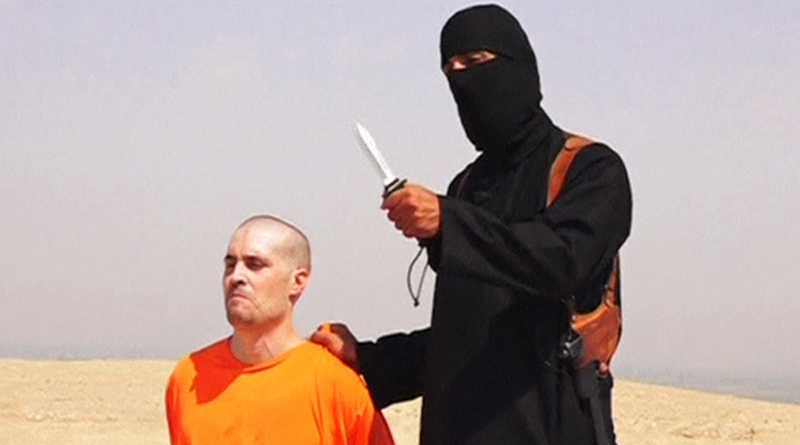 Furthermore, we mourn James Foley as a Syrian truth hero in this brutal war. In this truth Holocaust, we remember how the Syrian regime pursued anyone suspected in recording a demonstration or a protest at the beginning of the Syrian revolution even if it was via his mobile phone to put them in one of the most horrible detention centers given the lack of any humanitarian living condition, brutal torture, and the ratio of victims who died under torture. The same policy has been adopted by IS since the faction started expanding in Syria in April 2013 as it arrested tens of media activists and killed many of them while the fate of many others remain unknown.